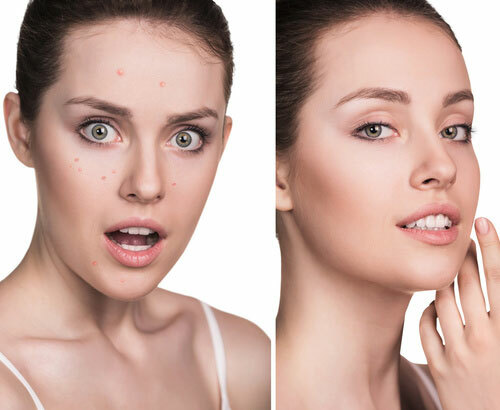 Acne Clarity is targeted for acne outbreaks sufferers. The photo chemical effect of light energies penetrate the skin to precisely target and destroy acne causing bacteria, while treating over-acting sebaceous glands to reduce acne and improve acne scarring. Treatment helps diminish active and speeds the healing of existing acne. Jump start acne clearing with purifying, detoxifying professional treatment that promotes breakout clearing and works to control your breakouts for clean, clear and smooth skin. Treatment is great in clearing congested follicles while hydrating it to defend against dryness, signs of aging and future outbreaks. Skin will be left purified to achieve that almost polished flawless complexion without putting heavy makeup to conceal the dull look to face the world with a perfect natural glow. A deeply relaxing facial that will calm your mind as your skin is cleansed, refreshed and hydrated. This super soothing desensitizing treatment will bring relief to irritated, reactive and sensitized skin. Calm down redness, itching and stinging with ultra-soothing ingredients while improving your skin’s protective barrier for long term relief from flare ups. Custom made treatment to select target skin needs. Achieve flawless complexion with our specially tailored treatment to treat wrinkles, ageing and pigmented skin. Reduce pore size and calms acne.